Updates on the Irish pages are going well. I've found loads of shops, mechanics and some outstanding web sites too. I found a few road race connections there too. I found a web site for the H cafe earlier last month, was going to give it a link, but I've lost it. I'll ride there soon and find out what's happening. page counter for last month are 54,483, Snow ice and the party season no wonder it's been a bit slow. A little more than this time last year. Yep I'll carry on as usual. 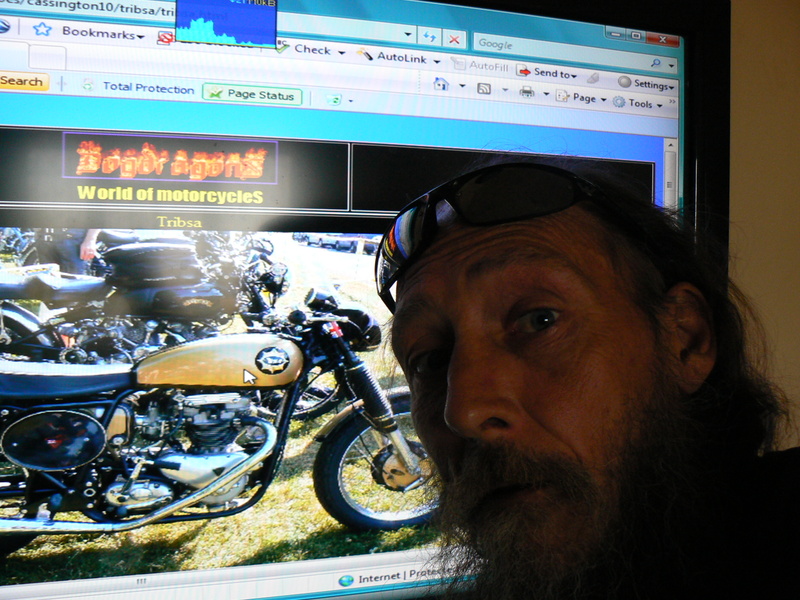 I've added another 5 bikes from the NEC 2010, and I've the South of Ireland, which is about half way. Might be another 2 weeks before I get the whole Island sorted, but I'll get there. I got a chance to check the site using a 54" screen. I like what I saw. cut me off because you needed to be in the lane I was in. waiting impatiently for my friends to pass. go home to your family.